Often it’s only in retrospect that we see profound shifts in tone and style in our favorite musical artists. -Craig will kick off the day with an LP of previously unreleased material from The Kinks. Titled The Great Lost Kinks Album, the 1973 record was ultimately discontinued after two years after the band’s frontman, Ray Davies, pursued legal action against its former label, Reprise Records. 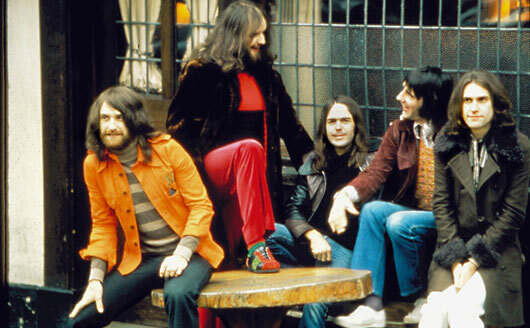 But this collection of tracks recorded between 1966-1970 are now considered The Kinks’ “golden years” – marking new levels of maturity in Davies’ songwriting styles, most notably a shift to more social commentary and observation. Each of the album’s tracks ultimately enjoyed legitimate release on retrospective discs starting in the late 1990s, but the mystique behind this original version – as well as the limited number of pressings – make The Great Lost Kinks Album a collectible. -Robert will follow up with 1999’s Summerteeth from alt-country stalwarts Wilco, who also used this particular period to transition from the “live” act we knew before to the studio tinkerers we’ve come to love since. Named one of Pitchfork’s top albums of the 1990s, Summerteeth was a pet project of frontman Jeff Tweedy and the late multi-instrumentalist Jay Bennett – much to the dismay of other bandmates, who later reported feeling left out of the project. It wasn’t just that the two assumed most songwriting and recording duties for the album; it’s also the way the album was made that was notable. While Wilco’s prior two albums were recorded mostly live in the studio, this one was made piece-by-piece with lots of overdubbing and sonic experimentation – with what would become a trademark process for subsequent releases. -Finally, Tommy will wrap up the day with Sea Wolf‘s third full-length, Old World Romance. Released in 2012, this one marked a return to roots for the band’s figurehead, Alex Brown Church. The former Irving member had initially founded the “band” as a platform for his solo work, with a rotating ensemble of backing bandmates. But after two albums, Sea Wolf had evolved into a more collaborative project. 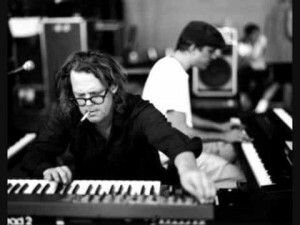 With Old World Romance, Church reverted back to his initial process – writing, recording and producing it mostly on his own, even playing all of the instruments. In his review for AllMusic, Fred Thomas said the album doesn’t quite match up to the “fiery” nature of Church’s contemporaries in Arcade Fire and Bright Eyes, but that that’s not necessarily a band thing. “It may not hit the listener over the head with theatrics or tormented confessions, but the subdued and personal nature of Church’s songs here allow for a more intimate connection than on any Sea Wolf material that came before,” he wrote.